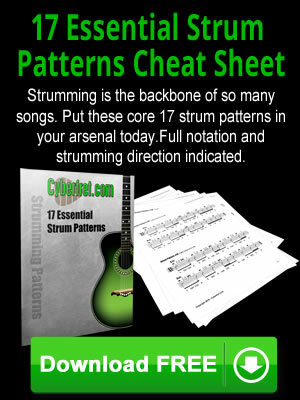 Cyberfret.com: Should You Learn Music Theory? Should You Learn Music Theory? Must every musician learn music theory? Is it really necessary? There are some guitar players that claim that learning music theory is helpful, while others insist that studying music theory will somehow make you “think” too much about your art and in fact will get in the way of your creativity. So who is right here? Lets think about this logically. Imagine what would happen if you decide to study theory. You will inevitably gain a greater understanding of the guitar and learn the fretboard much better. You will be able to understand what other musicians are saying when they are talking about music. You will have more options open if you decide to pursue a career in music (become a guitar teacher, or go to school for music.) Finally most importantly, you will be able to come up with creative musical ideas on a more consistent (and frequent) basis. Trying to write truly expressive music without knowing theory is similar to trying to walk blindfolded. You may end up where you are going eventually but the process will be much slower, filled with more obstacles and much less satisfying. Those that argue that learning music theory inhibits your creativity have either never studied theory with a great teacher (this is very important) or more frequently did not learn how to APPLY what they have learned to composing. As a result whatever knowledge that has been retained is largely useless to the student, hence the argument against learning theory. Furthermore, there are some that claim that guitarists such as Jimmy Hendrix and Stevie Ray Vaughn did not study theory. This may be partly true, but I can guarantee that these players had at least a rudimentary understanding of basic concepts such as the pentatonic scale and they knew their way around the fretboard well. Furthermore, let us not forget that guitar (and electric guitar specifically) has evolved greatly in the past 50 years. Nowadays, it is almost impossible to be considered a professional musician (or even an advanced guitar player) without understanding at least the basics of theory such as intervals and construction of triads. One other reason why some people choose not to learn theory is simply because of laziness. It is easy to come up with some excuse to avoid the hard work that is needed to become a good musician. Imagine for a moment a doctor who decides not to go to medical school and just begin to practice medicine because they feel that studying the science behind it will be useless and will only “interfere” with the work. Sounds pretty unbelievable right? Music theory is a science of sorts that explains how music works. Have you ever wondered why certain chords progressions sound better than others? Or perhaps wondered what notes you can use to improvise over certain changes? Have you ever been stuck on developing an idea when writing a song? The answers to these questions (and much much more) can be found by studying music theory. Doing so will only make you a better and more complete as a musician. With all the arguments made above, why would you NOT want to learn it? With that said, I do not believe that every musician needs to become a master of music theory. I believe that everyone should learn enough theory to reach their ultimate musical goals. This may require little theory or it may require a lot. You have to judge for yourself based on YOUR needs. You will always find people who tell you that you should or should not do something. Most people are not qualified to give advice on the matter. You should seek out a good teacher and ask him or her if knowledge of music theory will be necessary for YOUR long term goals. If you desire to just play your favorite songs on the guitar and do not plan on writing your own music, then learning theory would not be high on your priority list. However if you aspire to become a professional musician, go to school for music or become a guitar teacher, then not knowing theory will hold you back dramatically. So think about your goals and do not attempt to learn theory without a good teacher to guide you. It will be similar to trying to teach yourself math or science. Hopefully after thinking about the points made above and analyzing your goals you will be able to reach a conclusion on whether or not you should learn theory that will help move you closer to your dreams. 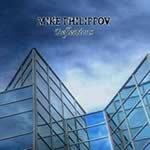 If you like the music of Yngwie Malmsteen, Symphony X, Dream Theater, Paul Gilbert, Jason Becker and Vinnie Moore, then you will enjoy Mike's debut solo album "Reflections". You can check out the samples of the music on this page. The album features instrumental guitar music, progressive songwriting and lots of highly melodic shred guitar playing. Currently Mike is busy working on several projects including composing and recording a solo CD featuring music in the neo-classical and progressive rock styles as well as more instructional products that are in the works at this time. 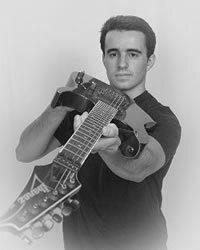 Visit www.mikephilippov.com to check out Mike’s playing and sign up for a free newsletter which is sent out periodically and contains helpful tips and advice for guitar players. ©2005 Mike Philippov All Rights Reserved. Used by Permission.